Do you want to help organisations and their employees thrive in a professional way? Are you interested in the way the brain functions and how you can develop talent through education? If so, this programme may be the one for you. Through theory and practice, you will familiarise yourself with various subjects in psychology. Within our Psychology programme, we educate using the Problem-Based Learning method. In small groups, you will analyse concrete problems by looking for information in books, journals and digital media. Class discussions will strengthen your bond with fellow students and encourage you to succeed. You will also develop psychological skills which aim to minimise the gap between university and the workplace and prepare you for your career path. During the Bachelor’s programme in Psychology, you will learn about all the subject areas related to psychology. In the first year, you will gain a good overview of all of the disciplines. Together with your peers you will learn and discuss the various theories and concepts related to a certain type of behaviour. In addition, you will learn practical psychological skills which are required to handle this behaviour. For example, during your ‘Personality Psychology’ course, you will investigate as to why our personalities make us behave in different ways. Parallel to this, you will undergo, analyse and report on psychological questionnaires as part of the ‘Psychodiagnostics’ practical. In other words, what you learn throughout the course is applied in the practical meetings, gearing you up for working life. You will also follow classes in statistics, research methods and practical skills. You will learn, for instance, how you have to conduct professional conversations and how to observe people. Furthermore, you will learn how to conduct experiments. Sometimes, you will act as a test subject yourself. In the second year, you will attend more advanced courses in the various fields of psychology. After your Ba2 year, you will have familiarised yourself with all the subareas of psychology. In the third year, you will have more freedom to choose subjects you are particularly interested in. In the first half of this year, you will choose the subjects you want to take in your minor and as (an) elective(s). You can also spend this time at a foreign university or another faculty. You will thus have the opportunity to explore topics beyond the realm of psychology. This can help you to choose your major and thereafter the career you wish to pursue. In the second half of the third year, you will specialise in the area of psychology that most appeals to you. The courses you will follow will prepare you for a Master’s programme. You will conclude your Bachelor’s degree with a thesis in which you address a psychological issue in a scientific manner. Clinical Psychology: Normal or Abnormal? 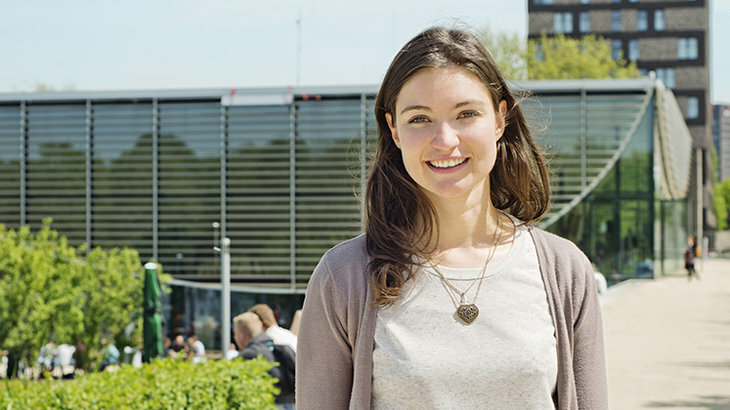 Why study this International Bachelor in Psychology in Rotterdam? Welcome to the highly-ranked Erasmus University Rotterdam (EUR), a research university located in the city of Rotterdam, the Netherlands. EUR offers 13 selective Bachelor’s programmes, and more than 50 top Master’s programmes, taught in English. Erasmus University traces its origins back to 1913. The university has become internationally recognised for its distinct social orientation in education and research. Our 26,000+ students come from more than 100 countries around the world. Erasmus University Rotterdam. Make it happen. Studying psychology gives you a multitude of opportunities with regard to your future career. You can, for example, become a trainer, selection and assessment advisor, HR consultant, coach or occupational health professional. Graduates of this programme also become researchers at companies and organisations, such as educational consultancies, school inspection services or research agencies. Furthermore, a Master’s degree in Psychology provides you with a solid basis to pursue a PhD. The faculty also offers workshops based on the needs of the students in case of career development. If you want to become a clinical psychologist or health care professional, it is important to realise that a Bachelor's and a Master's degree are insufficient. In the Netherlands, postdoctoral training for clinical psychologists is required. If you want to become a clinical psychologist in another country, there can be different requirements. These requirements are usually determined by psychologists' national associations. If you are interested in working within the clinical sector in the Netherlands, then learning the language is an absolute prerequisite.